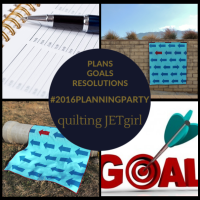 Now that I have wrapped up 2015 (go check out all of the wonderful Best of 2015 posts from oodles of bloggers on the linky party here) I am happy to start planning and link up my 2016 goals with Yvonne over at Quilting Jetgirl. I love the way Yvonne breaks her goals into shorter term with clear deliverables and longer term, big picture goals and so I am going to shamelessly copy her classification system. Continue my journey on growing as a quilter by learning new techniques and moving outside of my comfort zone. 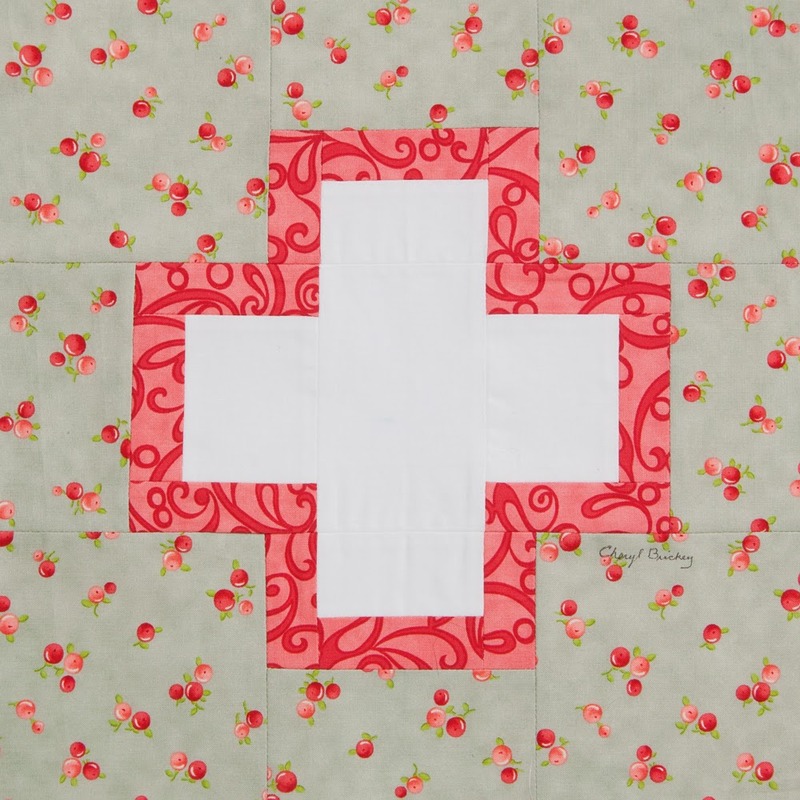 Strive for balance – balance between being a mother and a quilter, between computer time and quilting time, between quilting for “work” and quilting simply for fun. Work at carefully analyzing each opportunity I am presented with and have the courage to say no to the things that do not align with my vision, goals, and time restraints. I have a new Quilter's Planner from Stephanie @ Late Night Quilter to help me organize and keep track of my goals throughout the year. 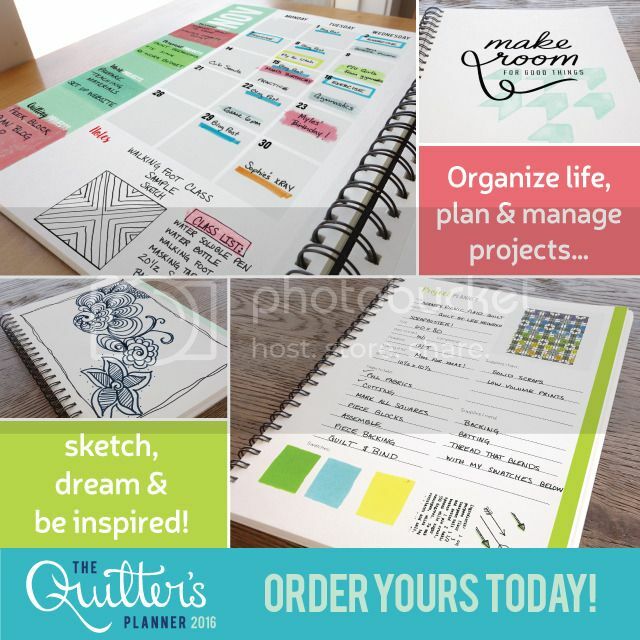 Stephanie has generously donated a Quilter's Planner as a giveaway prize to one lucky reader! To enter, simply go to Quilter's Planner website and sign up for the mailing list and then leave a comment on this post telling me that you have signed up (or already were signed up). Everyone that signs up will receive a free pdf! The giveaway is open to mailing addresses within the US and Canada and the planner will be mailed directly from Stephanie. The giveaway will end on Friday January 1st at 8pm EST. If you are a no-reply blogger, please leave your e-mail address so I have a way of contacting you. Giveaway now closed - Thanks for entering! Hi and welcome to my stop on the Best of 2015 blog linky party! I had such fun going through my posts from the year to figure out which 5 posts I would be highlighting today. It was a great way for me to review the year and revisit some finishes from earlier in the year that I had forgotten about. I picked my top 5 posts by the posts with the most views (minus all giveaway posts and the instruction posts for my Midnight Mystery quilt-a-long). Click on any of the titles to be taken to the blog post for more information and pictures. 1. Sea Star - This quilt combined two of my favorite things, a plus sign quilt (yes, I have an obsession on them) and the color blue. 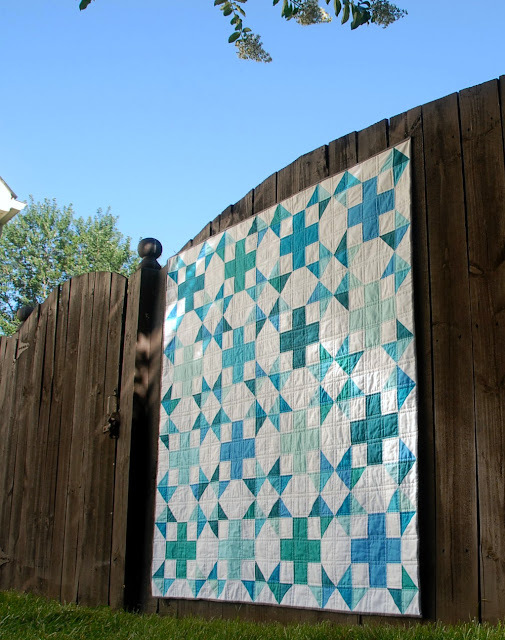 I set a bunch different Kona blues on a crisp white background and finished the quilt with some straight line quilting echoing the seam lines. 2. Quick and Easy Charm Square Baby Quilt - I needed a baby quilt in a hurry and had some leftover charm squares to use. 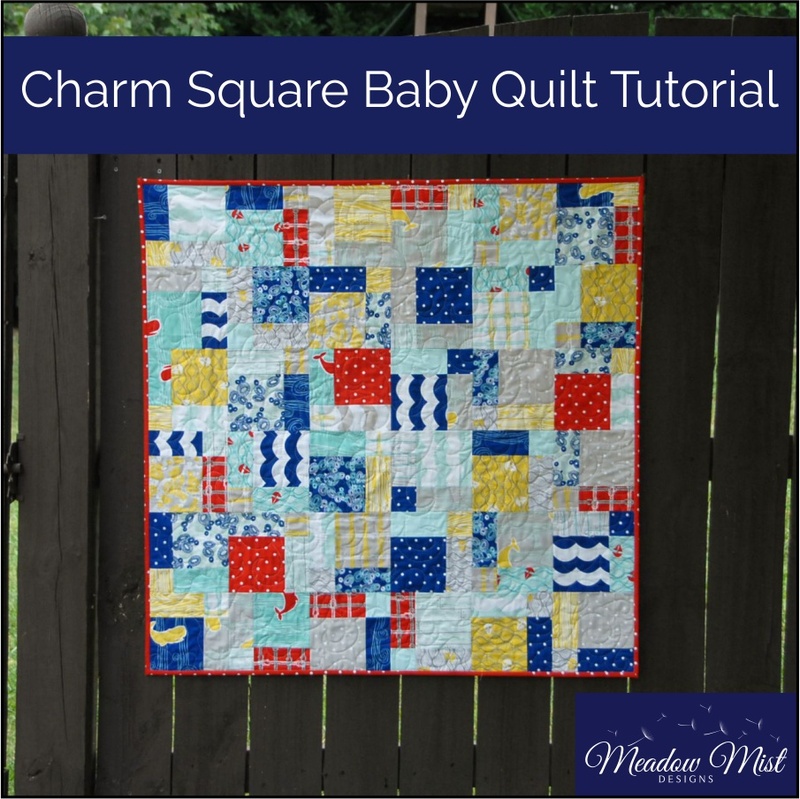 This tutorial is for a baby sized disappearing nine-patch quilt. 3. Foothills Mystery Quilt Reveal - The Foothills Mystery quilt was the first mystery quilt-a-long I hosted on my blog which finished up with its reveal in March. You can find the entire reveal parade here and the current Midnight Mystery quilt here. 4. 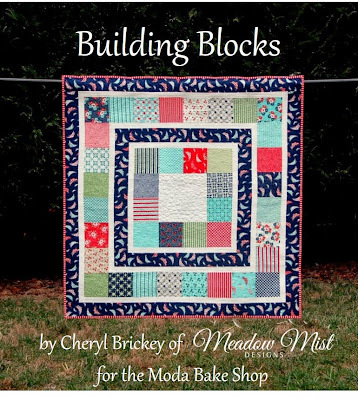 Building Blocks - This quilt and tutorial were posted on the Moda Bake Shop back in January. I had such fun getting to play with the Daysail line by Bonnie and Camille and create this fun baby quilt. 5. Modern Quilt Guild Riley Blake Challenge - I love quilt challenges as they force me to think outside the box and make a quilt that I might not normally make. In this challenge we had to do something we had never done before. For me that meant making a triangle quilt for the first time. This quilt was gifted to my new niece that arrived in November. Thanks for stopping by my blog! I hope you will consider linking up your favorite posts from 2015! Best of 2015 Linky Party! 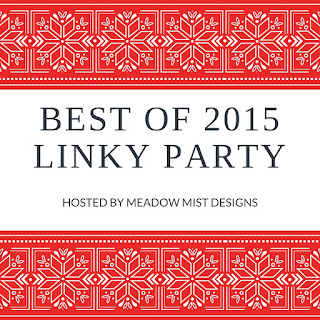 Welcome to the Best of 2015 Linky Party! This is a blog party to share your and read others top 5 posts of 2015. The link party is open now and will remain open for 1 week, closing on Saturday January 2nd. 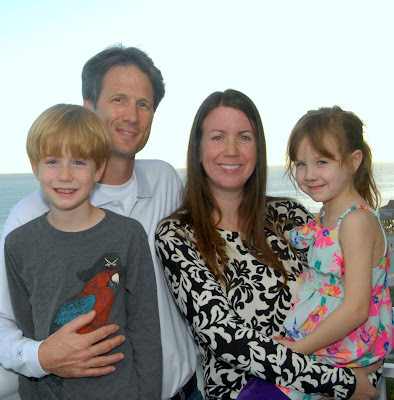 I want to wish you a very Merry Christmas and wonderful holiday season from my family to yours. Thank you so much for your inspiration, support, and friendship over the past year! ...and don't forget that the Best of 2015 Linky Party starting tomorrow (button over on the upper left hand side of the blog). 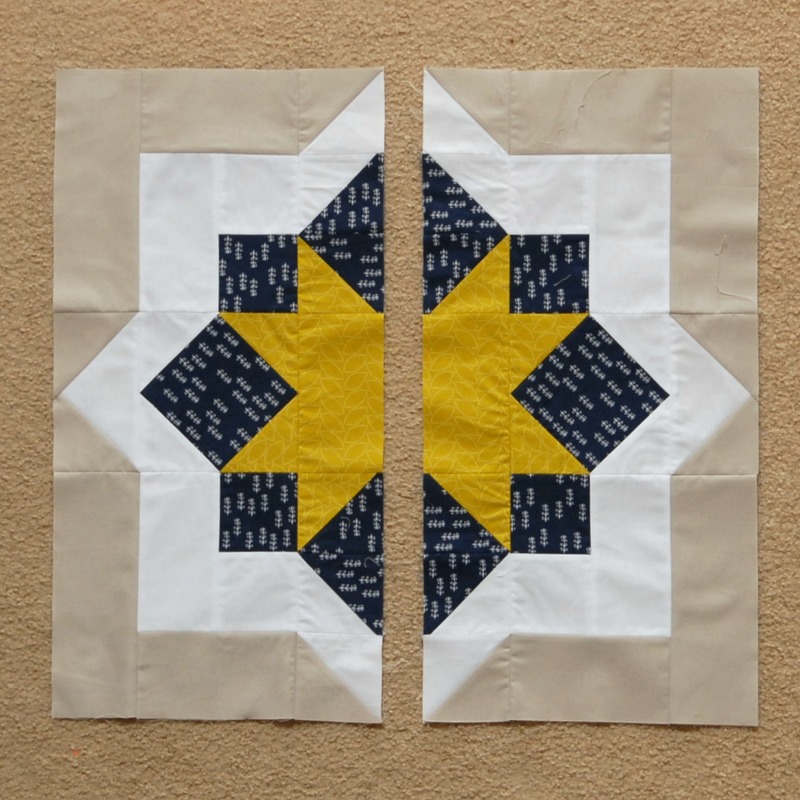 Are you looking for a good project and quilt along to start 2016? 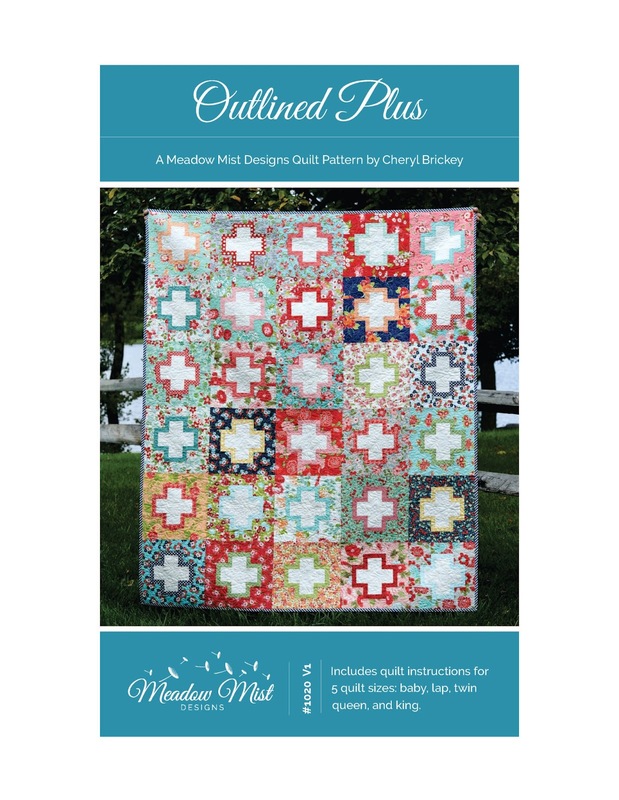 My good quilty friend Cindy who blogs over at Hyacinth Quilt Designs is hosting an Outlined Plus Quilt Along starting on January 4th! She will be posting some tips on her blog like choosing fabrics, working with stripes and directional fabrics, matching seams and staying organized. 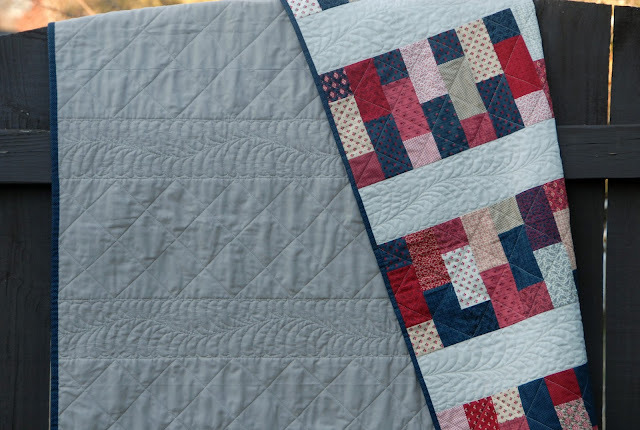 You can make your quilt at your own pace, but those who finish the top will be eligible to win prizes! 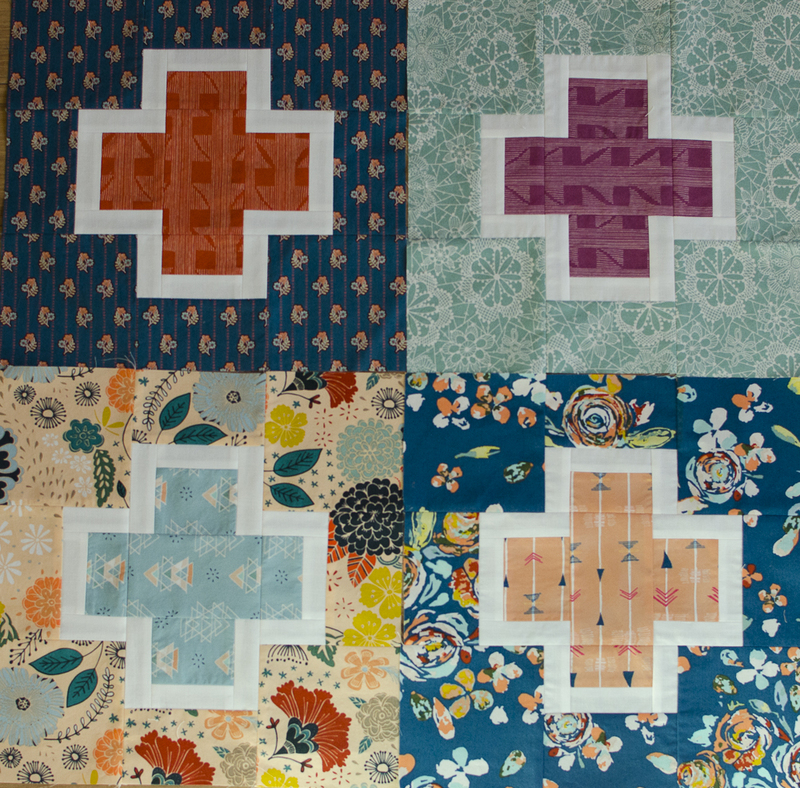 Cindy is using Fleet and Flourish by Maureen Cracknell for Art Gallery Fabrics and here are four of her blocks. Cindy has such an amazing eye for color. 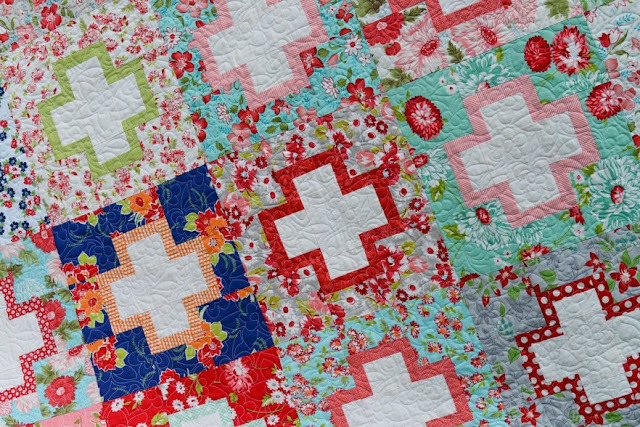 I am joining in on the quilt along using some bright prints from Cotton & Steel. 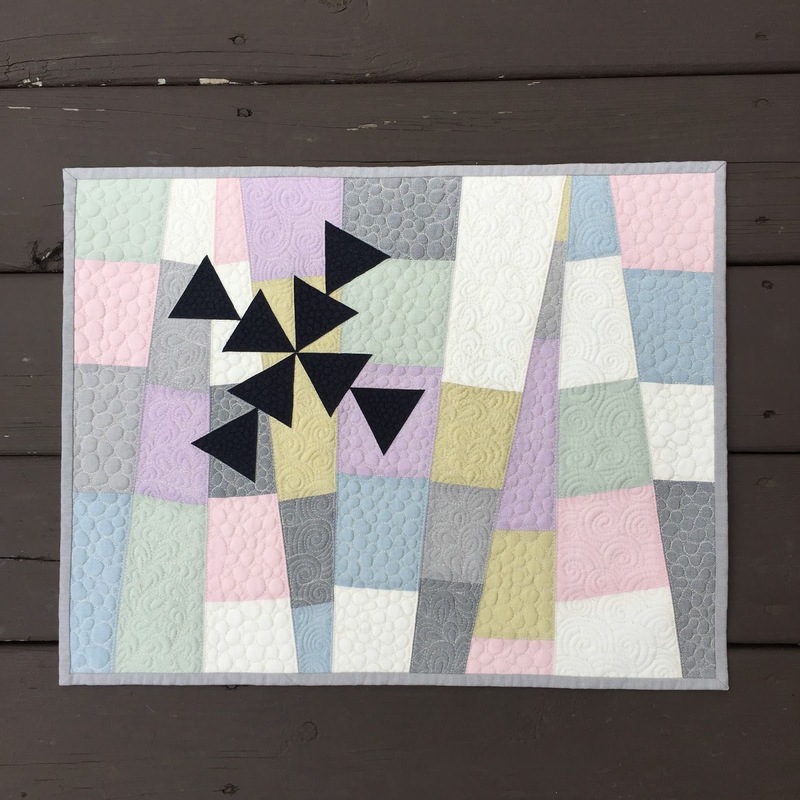 To participate in the quilt along all you need to do is grab an Outlined Plus pattern, it is on sale for only $6 until January 1st. You can find it on Etsy or on Craftsy (I am getting the pattern printed right now, so if you would prefer a printed version of the pattern it will hopefully be available the first week of January). 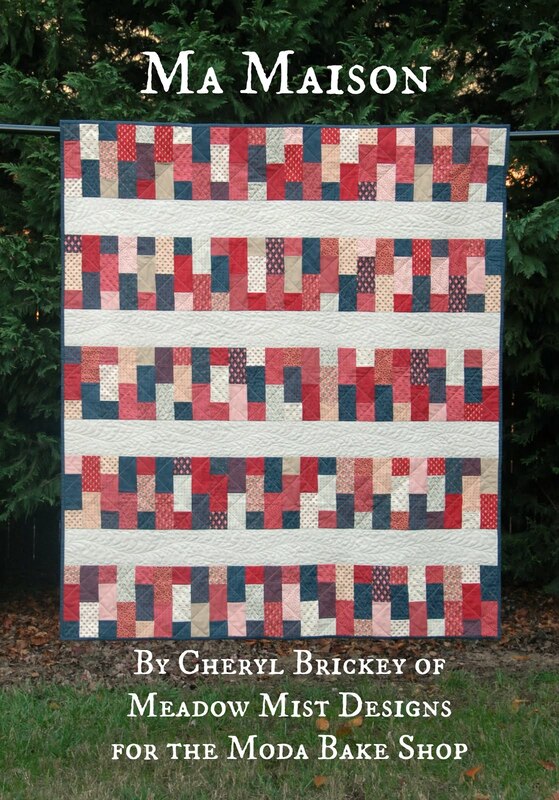 If you hop over to Hyacinth Quilt Designs right now, Cindy is having a giveaway for a copy of Outlined Plus. I am excited to announce that my pattern, Outlined Plus, is now available! You can find the pattern on Etsy, and on Craftsy. The pattern will be on sale for $6 for two weeks (until January 1st). 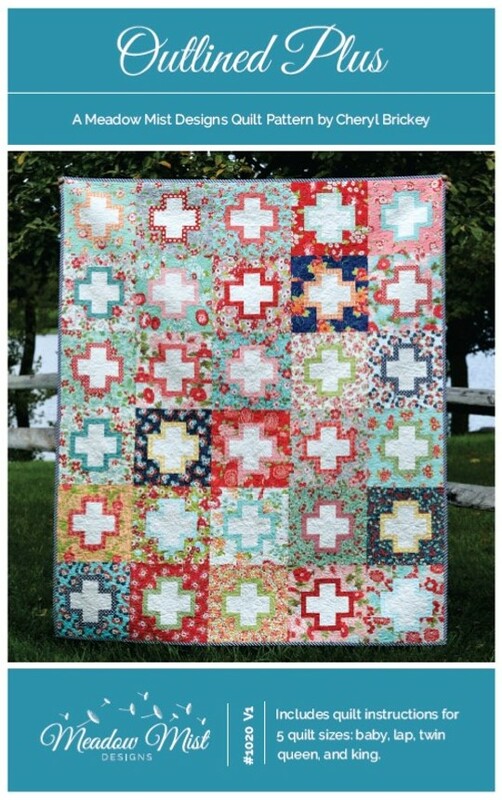 The Outlined Plus block was originally published in the Volume 11 of the 100 Blocks magazine by Quiltmaker. The block was very popular and I started to have some people asking for directions to make the block into a full quilt. I had started to develop Outlined Plus into a full quilt pattern when I saw Jackie Padesky's version pop up on Instagram. This quilt is perfection in its beautiful Bonnie and Camille floral fabrics, great color choices, wonderful quilting, and fun striped binding. I immediately knew that I wanted Jackie's version on the front cover of the quilt pattern and was so excited when she agreed! You should all hope over to Instagram right now and start following Jackie, her quilts are stunning!! each of the block sections from a single fabric. 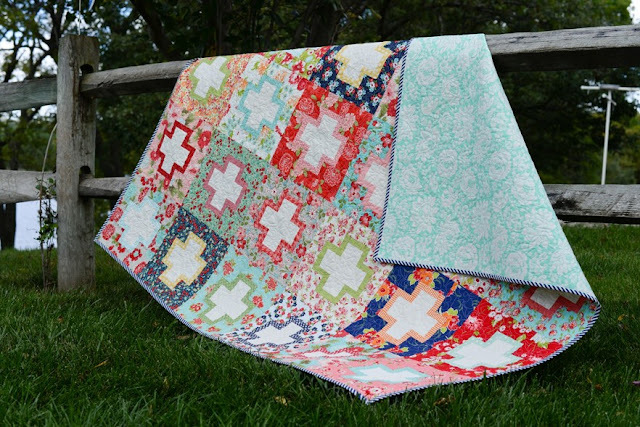 You can mix and match the instructions to customize your quilt! For example, to make Jackie’s cover version, you would use the single fabric instructions for the plus section and the multi-fabric instructions for the outline and background sections. I want to truly thank my two pattern testers Paige @ Quilted Blooms and Yvonne @ Quilting Jetgirl. Because of the complexity of getting so many different options and sizes into the pattern, I think Paige spent as much time helping me edit the pattern as I did writing it! 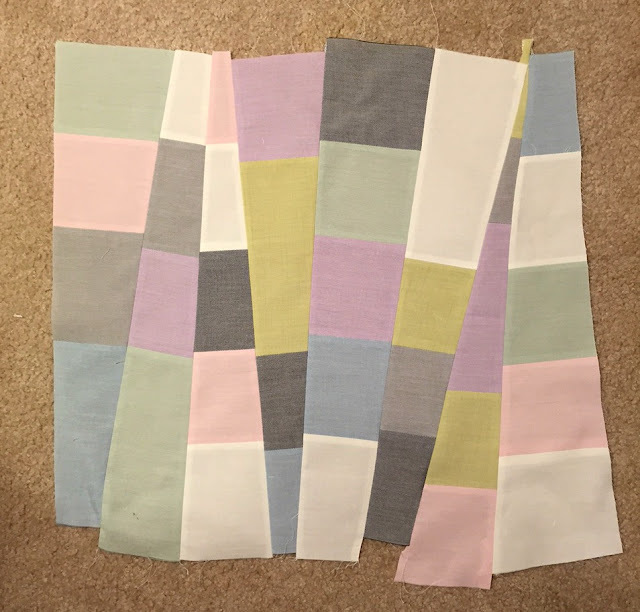 Also, Cindy @ Hyacinth Quilt Designs just started a version of Outlined Plus using Fleet and Flourish by Maureen Cracknell for Art Gallery Fabrics (which is stunning) and is thinking about making it into a Quilt along! Hope over to her blog or Instagram for more info. Just as a reminder: The pattern is now available on Etsy and Craftsy for $6 for two weeks (until January 1st). I am linking up to Link a Finish Friday, Whoop Whoop Friday, Thank Goodness Its Finished Friday, Finish It Up Friday, Fabric Frenzy Friday, and Show Off Saturday @ Sew Can She. December's assignment for the Midnight Mystery quilt-a-long was to finish the block assembly. Just remember that it is not too late to join in! 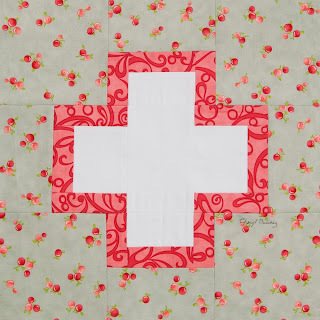 (We also have the option of an un-mystery quilt for those that would like a sneak peek of the finished design). 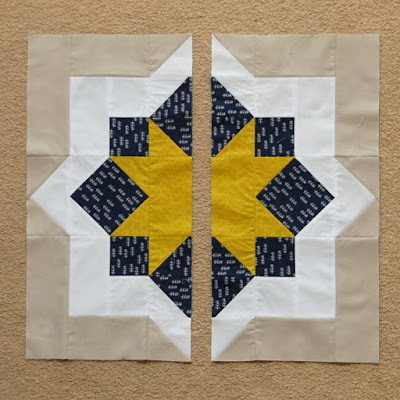 I am very happy to link up with Let's Bee Social @ Sew Fresh Quilts, Needle and Thread Thursday @ My Quilt Infatuation, and WIP Wednesday @ Freshly Pieced. 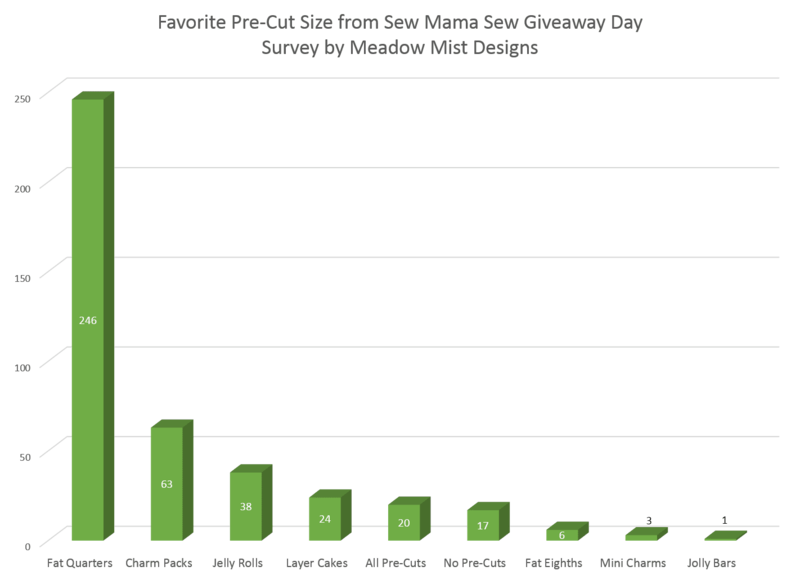 The optional question for my Sew Mama Sew Giveaway was "What is your favorite pre-cut?" Thanks for all of your answers! As an engineer, I could not resist crunching the numbers for you. 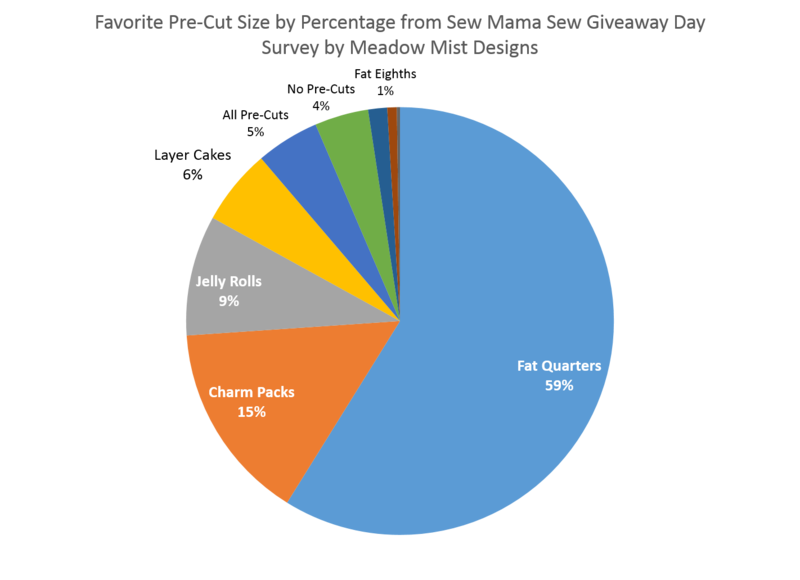 Fat quarters are the absolute favorite pre-cut with over almost 250 votes (59% of the vote). Charm Packs were a distant second with 15% of the vote. 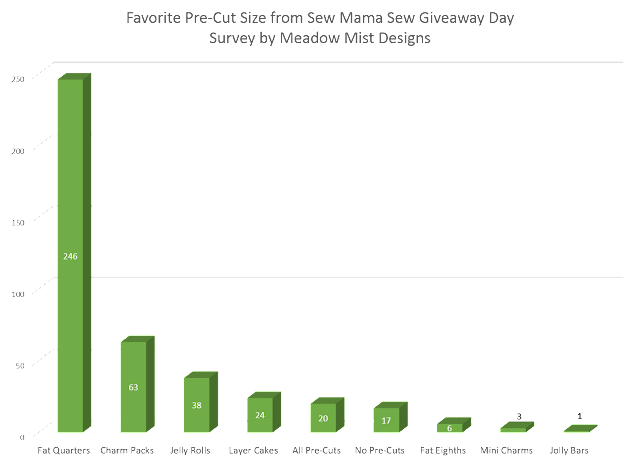 Here are the results in a bar chart and pie chart. 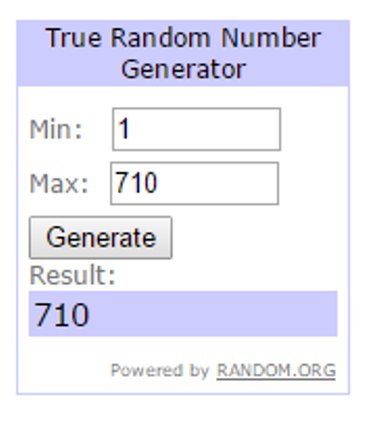 Without further ado, the winner of the 12-piece Kona fabric bundle was number 710 (the absolute last comment! ), which was Deb. Congrats! 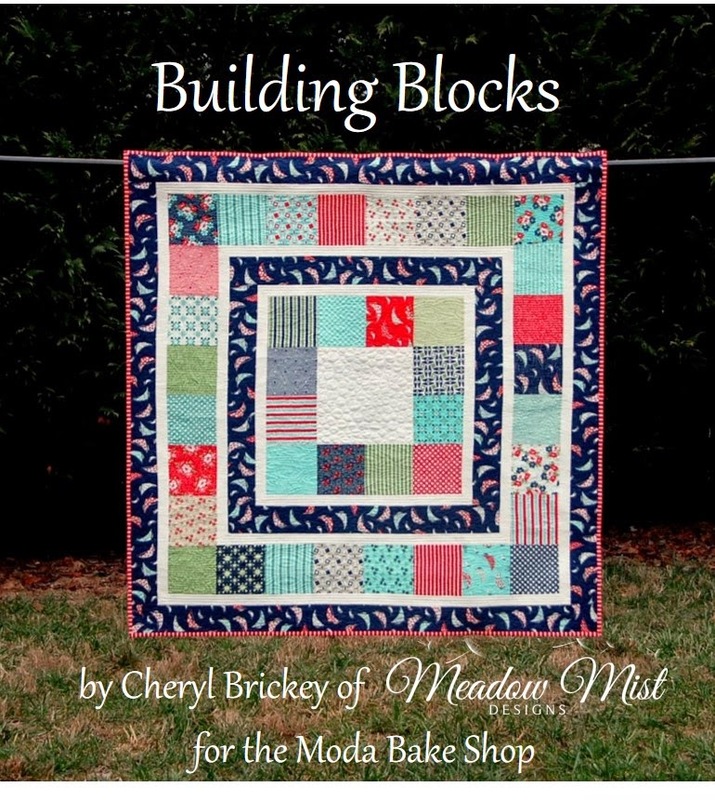 EDITED: It seems like the tutorial has not posted on the Moda Bake Shop yet due to a scheduling error. Once the tutorial is published on the MBS, I will link to it from here. I am very excited to have another Moda Bake Shop tutorial posted today, please hop over and check out Ma Maison. Thank you to all who are visiting from the Bake Shop! 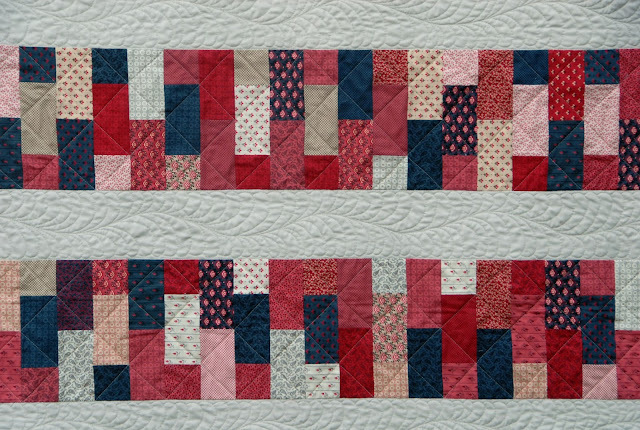 My goal for this pattern was to expand off of my Brick Border pattern that was part of the Trifle Quilt-a-long at the Moda Bake Shop. I made a lap sized quilt using one jelly roll of the Petite Prints Deux collection by French General (along with some background yardage). This is a very beginner friendly pattern which comes together very quickly with almost no seam matching. I had a lot of fun quilting this quilt. I used a meandering feather in the sashing and a diagonal cross-hatch pattern in the brick rows. I had originally called this pattern Yellow Brick Road, but then discovered that was already the name of a very popular pattern. Many thanks to Stephanie of Late Night Quilter who suggested the new name of Ma Maison. 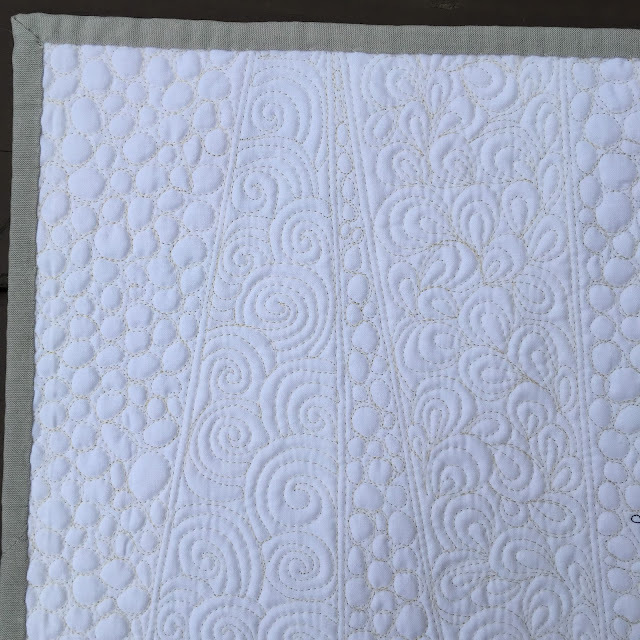 I also want to thank Paige of Quilted Blooms for reviewing and helping to improve the pattern so much. One of things I love best about quilt design is playing with the effect of color and fabric have on the overall look to the quilt. Here is Ma Maison rendered in three different popular Moda collections. This quilt is going to be gifted to a co-worker who has had a tough year heath and family-wise. I think that quilts are hugs made of fabric and I hope that my co-worker feels my hug when she gets this. 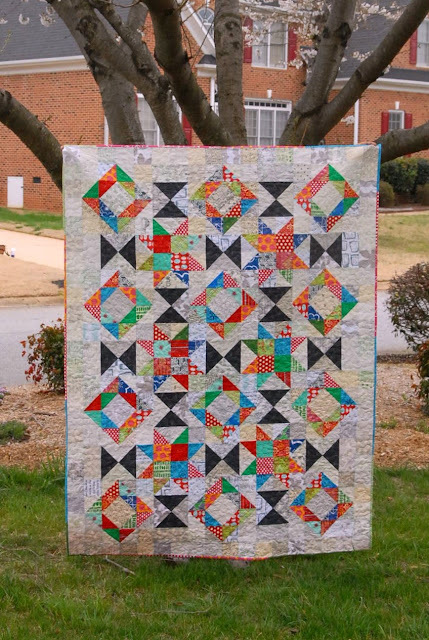 I am linking up to Let's Bee Social @ Sew Fresh Quilts, Needle and Thread Thursday @ My Quilt Infatuation, WIP Wednesday @ Freshly Pieced, Link a Finish Friday, Whoop Whoop Friday, Thank Goodness Its Finished Friday, Finish It Up Friday, Fabric Frenzy Friday, and Show Off Saturday @ Sew Can She. Welcome to the Sew Mama Sew Giveaway Day! This is my fifth time participating in the Sew Mama Sew Giveaway Day. I love Sew Mama Sew (I just curated the Handmade Holidays list of Gifts for Cooks) and I enjoy spending a few many, many hours entering giveaways and finding new wonderful blogs each SMS Giveaway Day. So who would like some delicious Kona solids? 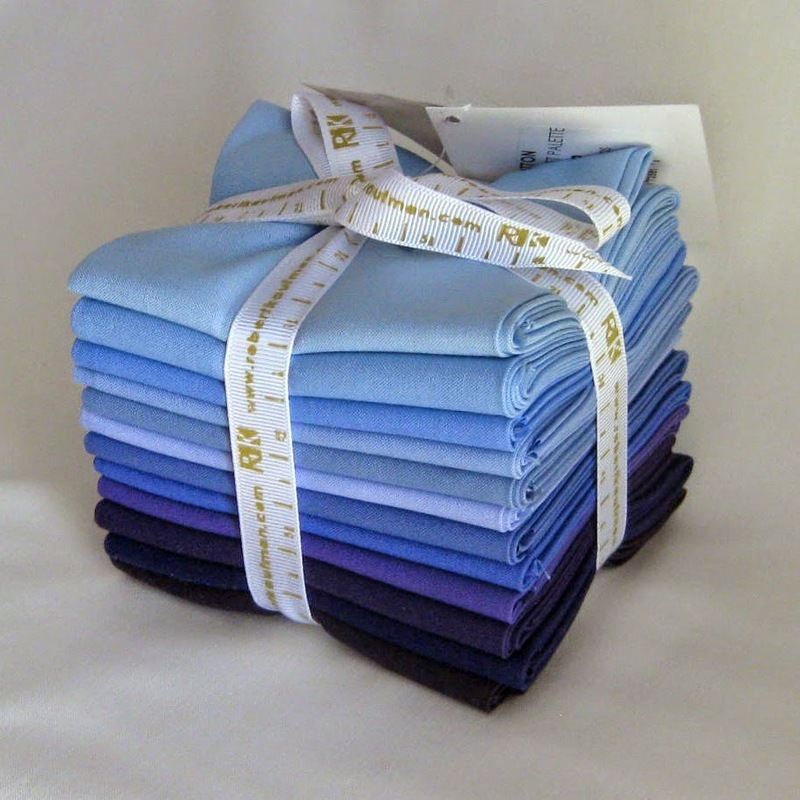 Up for grabs is a 12-Piece Blueberry Thicket Fat Quarter Bundle of Kona cotton solids by Robert Kaufman. I am such a fan of Kona cottons, they have such a great feel and so many colors. For those who are new here, here is a little about myself (for those that are returning, thank you!). My name is Cheryl and I am a chemical engineer/patent agent by day and a quilter at night. I have a wonderfully supportive husband who allowed me to turn the guest bedroom into my quilting room, an 8 year old son and 5 year old daughter. I love designing quilt patterns and doing quilty math which allows me to combine my quilting skills with my engineering and technical writing backgrounds. 1. The Midnight Mystery Quilt: This is a lap sized mystery quilt-a-long which started in June and will continue until March 2016. All of the months' instructions, as well as details about the popular Facebook group can be found in the Mystery Quilt tab above. The instructions will never be removed so you can start the quilt whenever you would like! 2. The Best of 2015 Linky Party: My first linky party! Simply write a blog post with your favorite 5 posts from 2015, link up, and check out everyone else's bests. The party will start the day after Christmas (Sat. Dec 26th) and continue through Saturday, Jan 2nd. You can find more information about the link party here. 3. 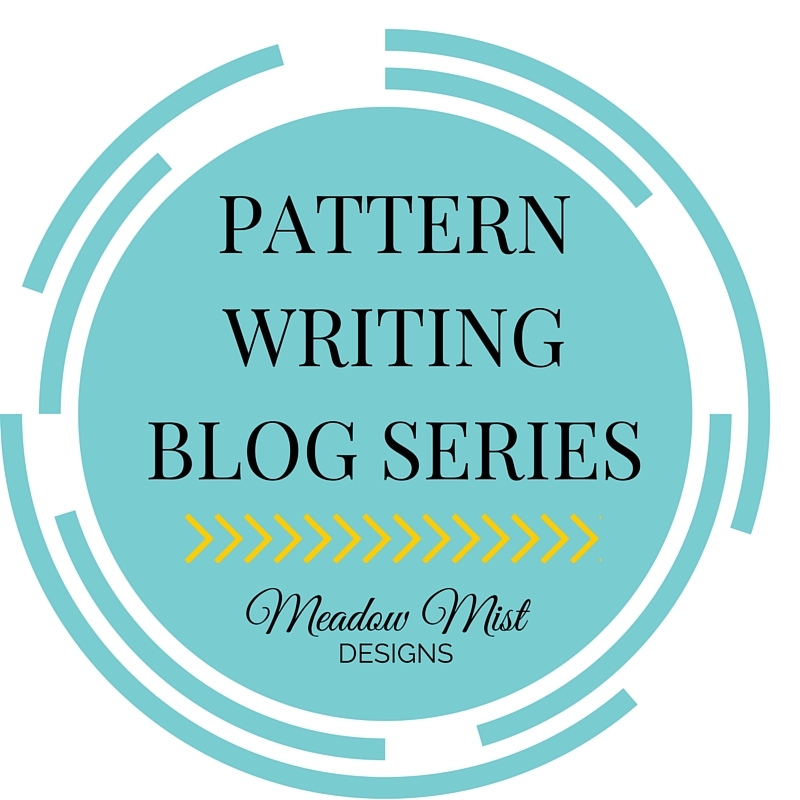 Pattern Writing Blog Series: Starting in mid-January I will be presenting a blog series on how to write quilt patterns, teaching how to take a quilt design from a sketch book to a fully developed quilt pattern. To make the series less abstract and more practical, I will be demonstrating each step and concept using an actual quilt pattern example. A wonderful group of pattern designers will be joining me for round table discussions through the series. You can find out more information at the Pattern Writing Series tab above. I hope that you will be able to take some time to look through any of the blog happens described above, my recent finishes, and my newly updated tutorials page. 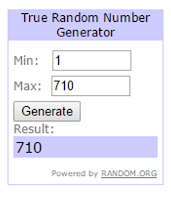 ﻿﻿﻿﻿﻿Now on to enter the giveaway!! This giveaway is open to everyone, everywhere in the world and is for one (1) Blueberry Thicket Fat Quarter Bundle which includes 12 fat quarters of Kona cotton solids. Note: If you are a no-reply blogger then please include your e-mail address. If I can not reach you, you can not win. Thank you so much and I hope that you will decide to follow my blog and join me on my quilting, sewing, and pattern writing adventures! PS - On normal posts, I try to respond to each and every comment and visit the blogs of those who comment, but on giveaway posts I unable to due to the high number of comments. I am so excited to tell you about something that I have been working on (for many, many hours) behind the scenes: starting in January, I will be presenting a blog series on how to write a quilt pattern. The series will take you step by step from a quilt design in a sketchbook all the way through to a fully developed quilt pattern. 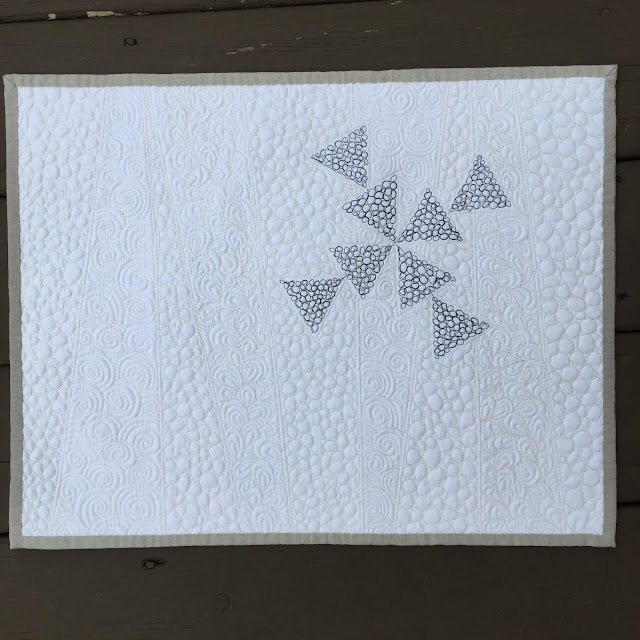 To make the series less abstract and more practical, I will be demonstrating each step by working through an actual quilt pattern (that will be available as a free pattern at the end of the series). 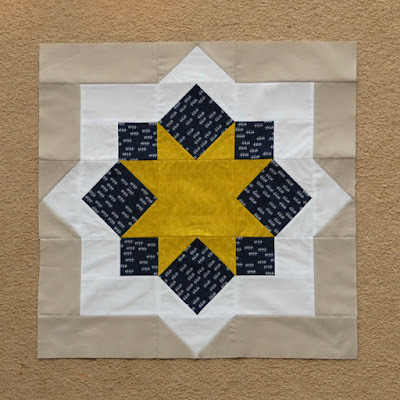 There is no right way or wrong way to write a quilt pattern, so a number of wonderful pattern designers will be joining me for round table discussions and additional posts to give different perspectives and opinions on the design and writing processes. With me will be (in alphabetic order) Amy of 13 Spools, Anne of Springleaf Studios, Christa of Christa Quilts, Lorna of Sew Fresh Quilts, Soma of Whims and Fancies, and Yvonne of Quilting Jetgirl. 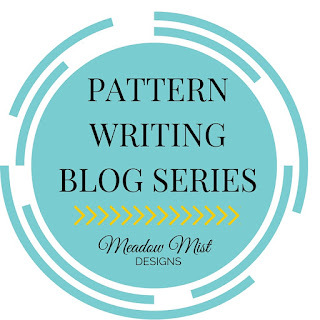 I hope that you will grab my button for your blog (button and code on the Pattern Writing Series page) or bookmark the Pattern Writing Series page to keep up to date on all of the posts. I have a fun finish to share with you today. I have been posting bits and pieces of the quilt on Instagram, but I am excited to show you my finished mini quilt I am calling Frequency. 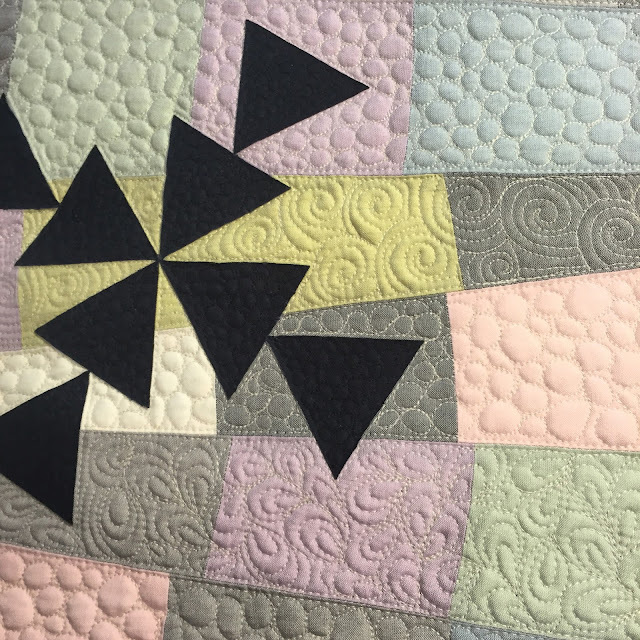 I made this mini quilt for the EZ Triangle challenge for QuiltCon 2016. 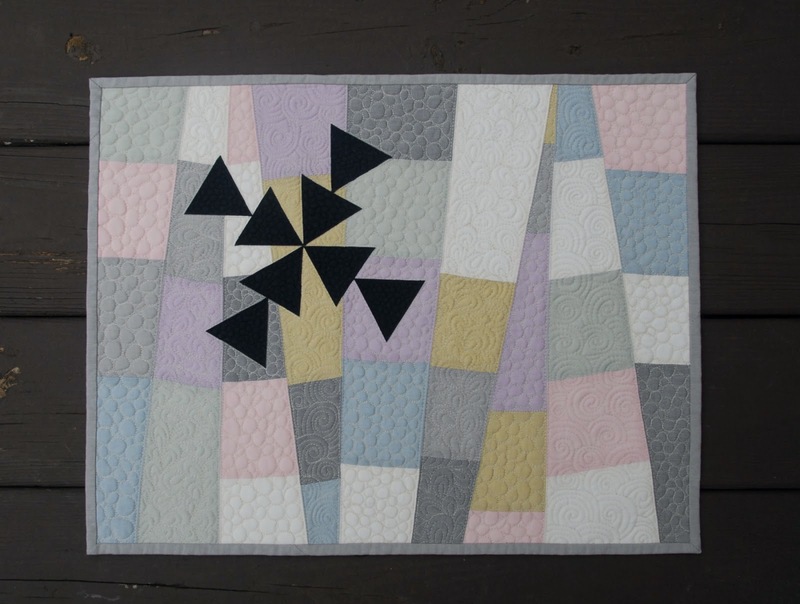 The challenge was to use a little triangle ruler (that doubles as a key chain) to make a quilt. My idea was to create a graphic design using appliqued triangles. My first thought was to go with some Kona white as the background but that seemed to be a little flat. To give the background a little more interest while still preventing it from becoming too busy, I used some Oakshott fabric scraps I had won from Casey York Designs. The amount of scraps I had determined the size of the finished quilt (about 21" x 16"). To start, I chopped up the scraps into 4" wide by about 3-8" long and sewed them into strips. I then sewed the strips together at different angles. 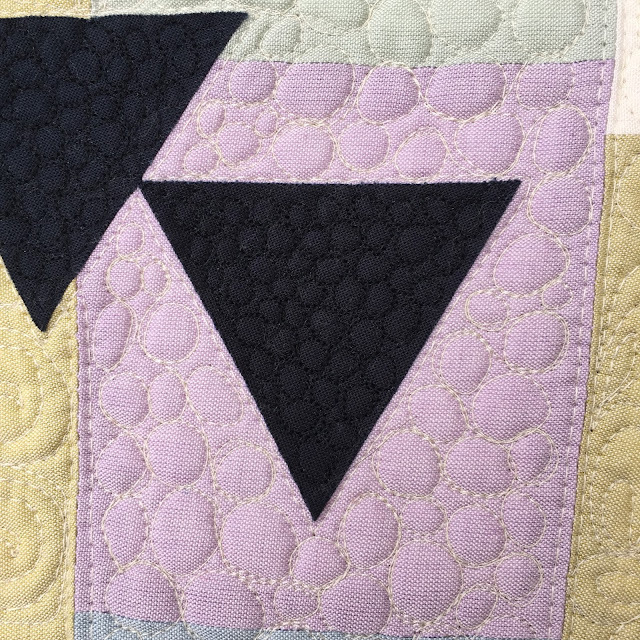 My hope was that the angles in the background paired nicely with the triangle applique. I made the triangles from Kona pepper and used Heat and Bond lite to attach them to the quilt. I initially thought to make a sun type pattern with the triangles, but when I was not sold on that design I played around with other designs until I settled on this star-like design. Next was my favorite part, the quilting. I must admit that I love tiny quilting. I find that it relaxing and I love the texture it gives the quilt. Because the quilt was small, it really did not to take me too much time to complete. In the background I quilted each row of piecing with different designs, alternating between pebbles, swirls, and paisley patterns. I used tiny pebbles in the triangles. To blend in with the background I used a beige Aurifil thread (2310) and used Aurifil black for the triangles. Fingers crossed this gets into QuiltCon. Finished size: 21" x 16"
Welcome to the 7th month of instructions for the Midnight Mystery Quilt! 1. Is it too late to join? - It is definitely not too late! This quilt-a-long has a nice slow pace with a month between instructions so there is plenty of time to get caught up! You can start at anytime because the instructions will always be available in the tab above. 2. Want instructions in an easier to print format? - Simply leave a comment below (with e-mail address if you are a no-reply blogger) or send me an e-mail at cheryljbrickey (at) gmail (dot) com to get on the e-mail distribution list. 3. Share your progress - Don't forget to post pictures of the fabrics you have chosen and your in-progress pics to our very active Facebook group (over 300 members now!!) and on social media using the hashtag #MidnightMysteryQuilt. And now onto the instructions... this month we are going to finish up the quilt blocks. As some of you had guessed, the giant Courthouse Steps Blocks from October are going to get chopped up. Just as a reminder, in the illustrations for the quilt instructions, Fabric A will be represented by the color pink, Fabric B will be represented by the color yellow, Fabric C will be represented by the color purple, and Fabric D will be represented by the color white. 1. Cut each of the 9 Courthouse Steps Units in half once horizontally and vertically to form 36 Quarter Courthouse Steps Units (9 ½” x 9 ½”). The cut will be 3 1/4” from the seam of the inner square. 2. Full Blocks - Combine 2 Unit-1, 1 Unit-2, and 4 Quarter Courthouse Step Units as illustrated below, pressing all seams open. 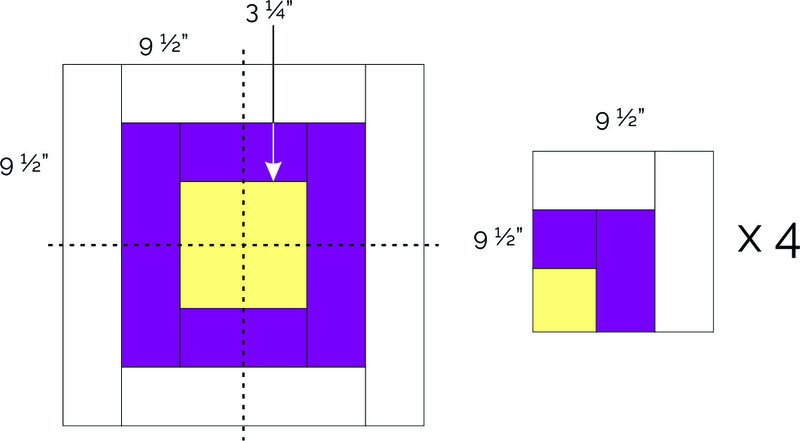 The full block should measure 24 ½” x 24 ½”. Repeat for a total of 8 full blocks. 3. Half Blocks - Combine 1 Unit-1, 1 Unit-3, and 2 Quarter Courthouse Step Units as illustrated below, pressing all seams open. The half block should measure 24 ½” x 12 ½”. Repeat for a total of 2 half blocks. 1. Button - I have made a button for the mystery quilt :) If you decide to join in on the quilt-a-long and have a blog I would love it if you posted the button. 2. 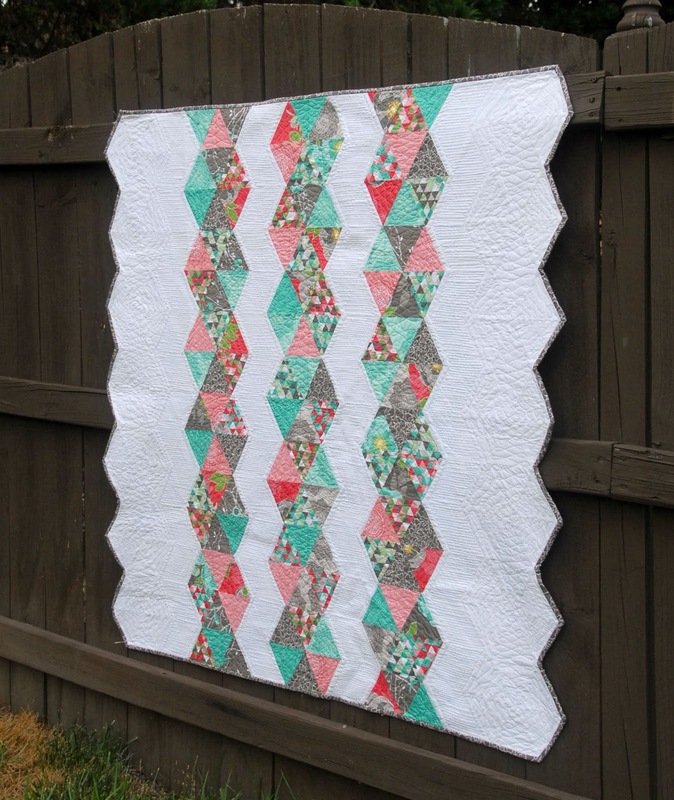 The Un-Mystery Quilt - Want to join in the fun but making a mystery quilt is not your thing? If you would like to see the final pattern to decide whether to join in, or to help pick colors; simply e-mail me and I will send you a sneak peak (the only rule is that you have to keep the design completely to yourself as to not spoil anyone else's surprise). 3. Share your progress - Don't forget to post pictures of the fabrics you have chosen and your in-progress pics to our very active Facebook group and on social media using the hashtag #MidnightMysteryQuilt. Many thanks to our wonderful Midnight Mystery sponsors! Best of 2015 Link Party Coming Soon!